Is Jaw Pain getting in the way of you living your fullest life? Are you struggling to sleep due to pain in your jaw, neck, or temple? Do you grind your teeth and clench your jaw at night? Sounds like you may need some immediate relief! If you want to eliminate back pain so that you can be mobile again, you’ve come to the right place! As lower back issues often involve the lumbar spine and surrounding nerves it can be an acute and painful experience. Muscles in the area will often seize up and ‘block’ or ‘guard’ movement as a type of defence mechanism to protect the point of injury. This is why you may get a feeling of stiffness, sensitivity, and lack of mobility in an entire region or ‘chain’ of muscles. Our technique involves slow and deep penetrating strokes at the sources/causes of the problem, to unravel and realign any knotted or dysfunctional tissues and send a message to the brain to help the tissues relax and stabilize. Whether you’re a desk jockey with issues building up over time from bad posture, or you have pulled a muscle from a sporting injury or freak occurrence, we can get you back up and running like new again. Do you spend your days behind a desk? Injured yourself at the gym? Had a fall? Whatever the case may be, our practitioners will be able to help relieve your back pain and ultimately eliminate your pain. What exercises help relieve back pain? General movement is great for back pain. We very rarely recommend rest. For immediate relief, use a lacrosse ball directly onto the point that is causing your pain. You can also use this same ball to release your Glutes/Hips. Is heat or ice best for back pain relief? Heat, Heat, Heat! Heat will increase blood flow, and accelerate your bodies healing process. Ice or cold exposure is good for boosting vitality and can be administered by having an ice cold shower. We rarely advise direct ice treatment onto pain. 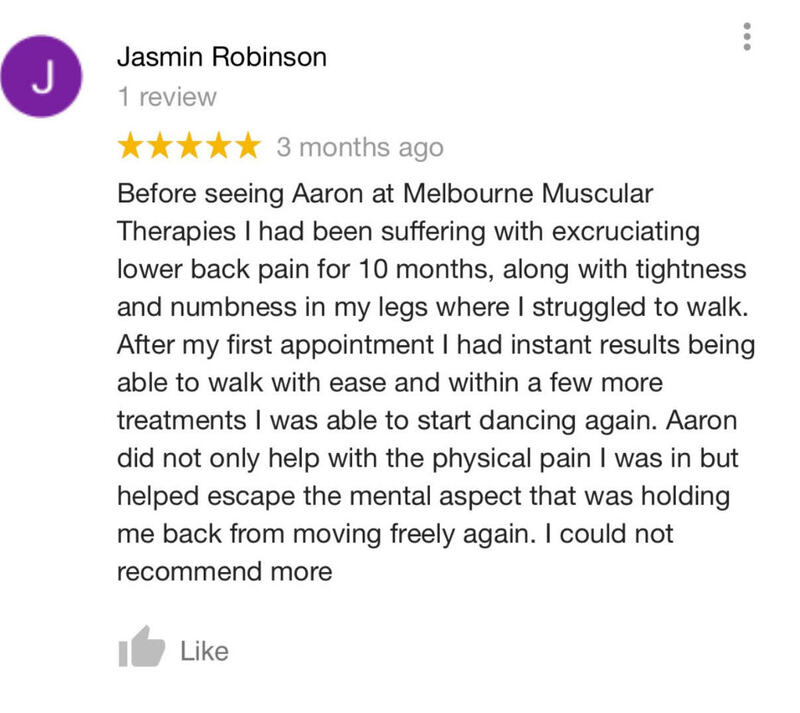 We will thoroughly assess your history, posture, movement, and pain itself before treating your body with our signature Deep Tissue Massage techniques. Once we have you free from pain, we will strengthen your body to ensure your pain never returns. Our proven methods are supremely effective at eliminating back pain. The combination of Deep Tissue Fascial Massage and Barefoot Strength Training is the best treatment for Lower Back Pain. Whats the best way to manage my back pain? Regular Deep Tissue Massage and weekly Barefoot Strength Training will ensure your Back Pain will never bother you. Daily self-treatment using foam roller and lacrosse ball will help keep your Lower Back free and flexible.